In Australia average life expectancy is 83, in Vanuatu it is 72, the Solomon Islands dips down slightly to 69, while in Papua New Guinea it is just 62.9. To put this in perspective, Papua New Guinea lies at the worst end of Sub-Saharan Africa. No other Pacific nation is in this league. The streets of the nation are strewn with stories of those who have died, or suffered needlessly, because medicines were not available, or acute interventions could not be provided. Parents lose children, brothers lose sisters. This is an issue that effects everyone, across the nation, deeply. If ever there was a sector which should be safeguarded by political leaders to ensure that services are provided in an effective and efficient manner, free from malfeasance, it is public health. In this three-part PNGi investigation, we analyse evidence relating to abusive commercial transactions that are leading to the circulation of overpriced and substandard medical goods in our hospital, health centres and aid posts, which are not responsive to frontline needs. Image: NCPG has been a major supplier of medical products to PNG. 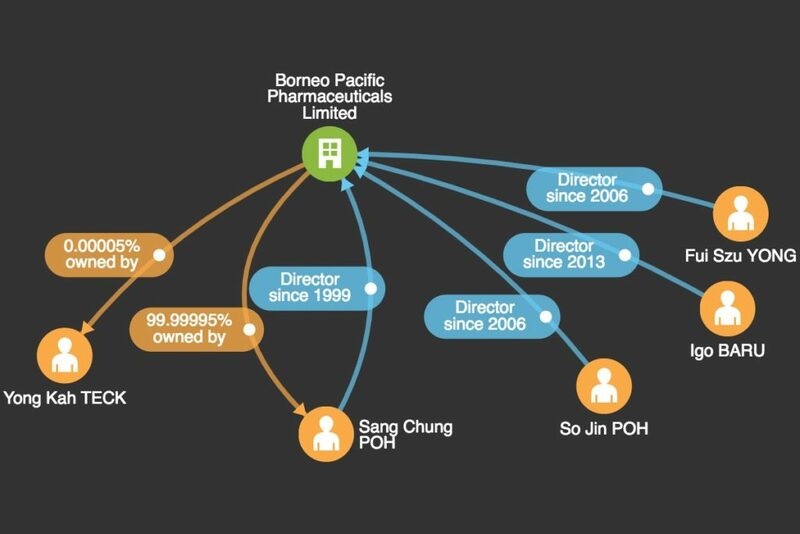 Our investigation focuses on a network of business people, former public servants and doctors, connected to the principal of controversial medical goods supplier, Borneo Pacific Pharmaceuticals Limited, Sir Sang Chung Poh. In Part I of this investigation we put the spotlight on Borneo Pacific Pharmaceuticals Limited (Borneo Pacific). In Part II, we turn the spotlight to Sir Poh’s business partners, which include some of the country’s top physicians. In Part III we look at Poh’s wider business interests, which extend into many sectors of the economy and provide some interesting connections, even reaching as far as the Prime Minister himself. In September 2013, Prime Minister Peter O’Neill – before an audience that included Chinese Ambassador, Qiu Bohua – opened Borneo Pacific’s Port Moresby headquarters. According to The Australian, Prime Minister O’Neill praised Borneo, claiming it is ‘an example of a family and a company who are truly one of the success stories of the country’. Four years later Borneo Pacific’s owner, Sang Chung Poh, was knighted for his ‘charitable’ services to Papua New Guinea. 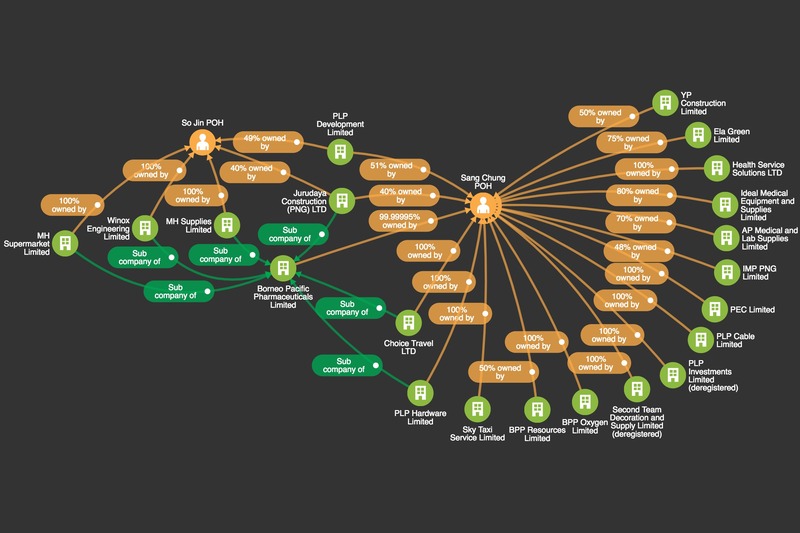 Network map: Sir Poh owns or part owns, at least 18 different companies in PNG with interests as varied as construction, property development, travel, medical supplies, hardware and even a ‘sky taxi service’. Despite these accolades, auditors, journalists, medical associations, respected physicians and senior politicians have all suggested Sir Poh’s flagship company, Borneo Pacific, has been the beneficiary of lavish spending by the Department of Health, organised through flawed tender processes. Incorporated in 1996, Investment Promotion Authority records indicate Borneo Pacific is 99.99995% owned by, Sang Chung Poh. Sir Poh became a naturalised PNG citizen in 2007, before that he was a Malaysian national. The other 0.00005% is owned by Singaporean national, Yong Kah Teck. The Board of Borneo Pacific includes Malaysian nationals, So Jin Poh and Fui Szu Yong, along with Papua New Guinea national, Igo Baru. Mr Baru joined the company in 2013, previously he served as Director of Medical Supplies for the National Department of Health. In this same year the company’s record took a major reputational hit. The Australian. ‘High-cost bid secures tender for drug distribution in PNG’, 2 Jan 2014. During 2013 it was announced that Borneo Pacific had won a major, three year contract supplying medical kits to health centres and aid posts. The contract was awarded by the national Department of Health, through the Central Supply and Tender Board (CSTB). At the time Phillip Eludeme was CSTB Chair. Eludeme featured in the National Provident Fund scandal and more recently the Manumanu land controversy. The contract was valued at K71 million. According to the Health Secretary, this was an unprecedented amount – the first major health procurement of its kind, directly funded and managed by the national government. An investigation conducted by The Australian in 2013 indicated that Borneo Pacific’s bid was ‘40 per cent above two better qualified competitors’, including Dutch not-for-profit, International Dispensary Association, and local concern, City Pharmacy Ltd. Image: Borneo’s management feature in a screenshot taken from the company’s website. The President and Treasurer of the Papua New Guinea Medical Society – Professors Nakapi Tefuarani and Glen Mola respectively – also claimed that the tender process was altered to facilitate Borneo Pacific’s bid. Specifically, the mandatory requirement that suppliers were International Standards Organisation (ISO) 9001 certified was evidently waived. This allegation was later repeated by Sir Mekere Morauta. According to the National Doctors Association, ISO 9001 certification ensures medical supplies are procured from reliable sources and supplied safely to health facilities. This alteration of the tender process, removing ISO certification, assumed special importance owing to Borneo’s controversial relationship with the North China Pharmaceutical Group (NCPG). At the time, Borneo Pacific was a principal supplier of NCPG products to Papua New Guinea. And, the Health Secretary observed, it was ‘one company that will be providing a majority of the medicines’ under the 2013 award to Borneo Pacific. This set off alarm bells in the national medical and donor community. A 2011 article published in the Journal of Pharmaceutical Sciences reported that all samples of NCPG medicines supplied to Papua New Guinea were substandard, and one was ‘possibly counterfeit’. Internal DFAT documents obtained by Fairfax Media identify Borneo Pacific as PNG’s largest provider of drugs from manufacturer North China Pharmaceutical Group, a known offender in the nation’s fake drug crisis. 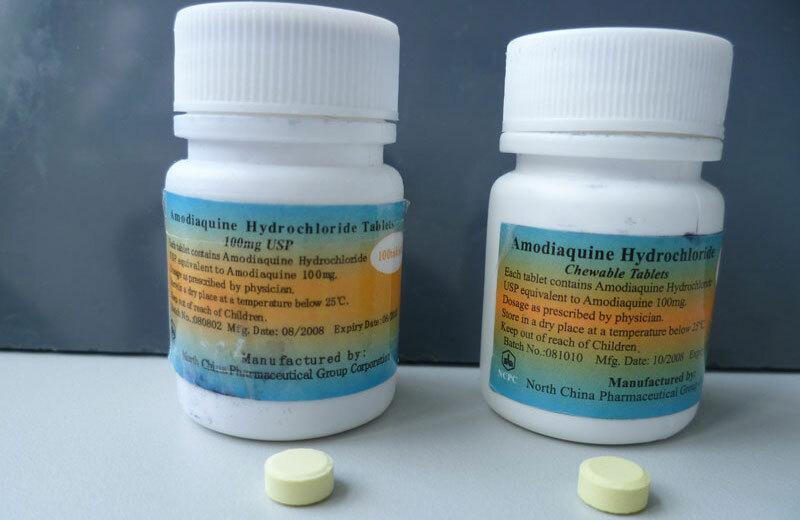 During a visit [to NCPG’s Chinese plant] by France’s drug agency in November 2014, inspectors found falsification of documents, lack of data integrity in the quality control laboratory and risk of contamination in the medicines assembled in the plant, which is located in the city of Shijiazhuang, Hebei province. The French authority recommended that the company to be prohibited from supplying penicillin to EU members. Following the inspection, the manufacturer also lost various certificates of suitability issued to drugs that meet high quality standards. Hong Kong, Ethiopia and Liberia recalled vials of penicillin made with ingredients from the plant and distributed by French drugmaker Laboratoires Panpharma, which sells antibiotics to more than 80 countries. In March, after another inspection by the EU, North China Pharmaceutical Group Semisyntech Co. Ltd received a certificate of good manufacturing practices – but it was valid only for substances for veterinary use. 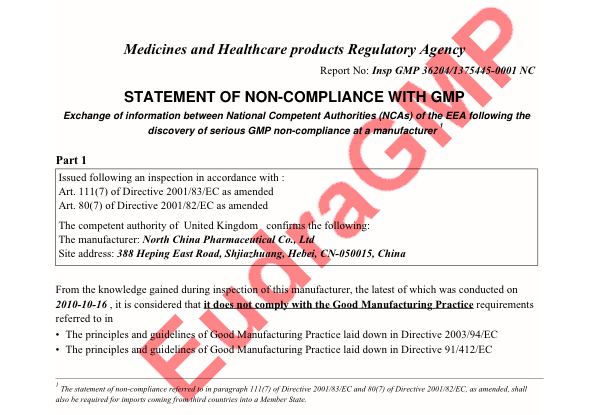 Further inquiries made by PNGi has revealed a swathe of non-compliance reports issued against NCPG by the European Directorate for the Quality of Medicine, which have been summarised by Pharmacompass. The general allegations made by DFAT and Papua New Guinea’s Medical Society – namely that Borneo Pacific has been importing substandard products – are also supported in a 2015 Interim Report on Health Sector Management produced by the Special Parliamentary Committee on Public Sector Reform and Service Delivery. At a forum held in Mount Hagen during May 2015, hospital supervisors complained to the committee ‘that drugs being supplied by Borneo Pacific were often of poor quality as were medical supplies. IV drips were substandard as were blood transfusion sets’. Similar concerns featured in an EMTV report on the Committee’s visit to Mabudawan Rural Health Centre in South Fly District of Western Province. Compounding matters, in its interim report the Committee discussed a visit to Kimbe hospital in West New Britain where the acting Chief Executive Officer ‘revealed that the standard set of drugs being provided by Borneo Pacific were not those really required at the hospital’. In light of the evidence, National Doctors Association Secretary, Dr Sam Yokopua, labelled the 2013 contract ‘pharmaceutical Genocide’ and doctors threatened industrial action. Banned from supplying medicines to European markets on multiple occasions by EU inspectors. The PNG Medical Association provides one hypothesis that might explain this irregular decision. The Association claimed during the 2013 controversy that Borneo Pacific ‘is renowned for giving presents to people in the government procurement system’. Professor Glen Mola in particular has suggested that the considerable profits Borneo Pacific earns from inflated awards – which appear to be several times the market average – may, in part, be being used to pay public officials kick-backs. PNGi could not locate any comment on the public record from the company, confirming or denying this serious allegation. Borneo’s management, it appears, refused to speak with an EMTV investigation into the scandal, when invited onto Olsem Wanem in 2014 (the episode can be viewed below). Nevertheless, the Department of Health has rejected the allegations and concerns, as totally unfounded. Indeed, Borneo Pacific was invited to contribute towards the development of the 2014 National Medicines Policy published by the Department of Health. The Policy is intended to regulate and coordinate the trade, use and management of medicines and other health products, including quality control. Adding further weight to the Department of Health’s refutation, the Public Accounts Committee under the leadership of John Hickey allegedly cleared Borneo Pacific of any wrongdoing with respect to its 2013 award. In an usual departure from the committee’s strict line on legal compliance, Hickey is reported to have said words to the effect, ‘corners were cut’ merely as a ‘matter of convenience’. Nevertheless, it appears that the government of Australia was not as convinced matters were above board, given the premium price and substandard supplier. Shortly after the results of the tender were announced and the contract awarded to Borneo Pacific, the Australian government withdrew a two-year $38 million program to supply drugs to health centres across PNG out of concern over the Borneo Pacific tender process. Australian Foreign Minister, Julie Bishop, justified the decision stating Borneo Pacific, ‘is not accredited and has a history of supplying substandard drugs’. The 2013 matter perhaps could have been put to rest as all smoke and no fire, had not the international health financing body, Global Fund, made a striking intervention in 2014 that again put the spotlight on Borneo Pacific and its lucrative relationship with the Department of Health. Media: Olsem Wanem investigates the 2013 award to Borneo Pacific. The Global Fund is an international partnership organisation that raises and spends almost US$4 billion a year fighting AIDS, tuberculosis and malaria throughout the world. In 2014, the Fund’s Inspector General published the findings of an investigation conducted into the management of grants provided by The Global Fund to Papua New Guinea’s National Department of Health. The investigation uncovered numerous examples of procurement and cash advance irregularities within the Department, allegedly resulting in losses of over US$1.3 million. Four of the alleged irregular transactions, totaling US$624,800 (K1,726,200), involved the procurement of pharmaceuticals and equipment from Borneo Pacific. These transactions took place between September 2005 and December 2009. The Inspector General’s report found procurement rules were disregarded resulting in single source procurements, lowest bids being ignored, and unnecessary brand specifications. These rule breaches evidently generated additional and unwarranted costs to The Global Fund of US$105,079. The procurements involved 500 malaria testing kits supplied in November 2007 at a total cost of K235,000; the supply of 10 microscopes at a total cost of K95,000 in August 2007; and two batches of anti-malaria treatments in September 2005 and December 2009. In each case, the Inspector General found the bids submitted by Borneo Pacific were not the lowest received and the purchases did not follow proper process. For example, in a Procurement and Supply Management plan submitted to The Global Fund it was stated by the Department of Health that Rapid Diagnostic Test Kits for malaria would be acquired from the World Health Organisation at a price of US$1.10 per test. This plan was then evidently ignored during 2008/2009. Instead, a Certificate of Inexpediency (COI) was used to avoid a public tender process. In its place a selective tender process was conducted. COIs, it needs to be noted, are a special mechanism available to officials during national emergencies, when it would be inexpedient to undertake a full public tender. The National Courts have found on repeated occasions that their use is being systemically abused to facilitate rigged, inflated awards to private actors – although no specific judgement has been delivered with respect to the current example under consideration. The Global Fund’s Inspector General notes that the COI was issued on 19 February 2008, because the kits were said to be urgently needed for a Malaria program. Although this does not meet the definition of emergency as set out in the Financial Instructions (i.e. allowing poor planning to artificially create emergencies would set a dangerous precedent) – nevertheless a COI was issued by the Central Supply and Tender Board. Despite this supposed ‘emergency’ situation, the kits were not actually ordered till 25 April 2009, over a year later. Even on the basis of the selective tender process facilitated through the COI, the Inspector General observes, Borneo Pacific’s quotation was well above the price offered by a rival firm Boucher Muir. The inspector’s report notes, Borneo charged: ‘PGK 483.78 per kit … versus PGK 216.38 per kit (Boucher Muir) or PGK 4.84 per test (USD 1.84) versus PGK 2.16 (USD 0.82) per test as each kit contains 100 tests’. …this procurement relied on an outdated COI to avoid the public tendering process and involved a specification for goods that was biased. This investigation also finds that this procurement was not consistent with the “value for money’’ and “effective competition’’ fundamentals of the PNG Government’s procurement system, resulting in an additional and unwarranted cost to the program of at least USD 40,809 (PGK 107,021) if ICT Combo malaria RDT kits were sourced from another supplier, and up to USD 48,354 (PGK 126,808) if an equally or more suitable RDT kit such as CareStart or Parascreen was purchased from one of the other bidders. With respect to the 10 microscopes, it was stated in the Department of Health’s Procurement and Supply Management plan: ‘Microscopes at an estimated cost of USD 1,659.52 (PGK 4,673) each would be procured by WHO [World Health Organisation] from the Global Drug Facility (GDF)’. The microscopes were not procured through WHO and were procured directly from Borneo Pacific. The price per microscope from Borneo Pacific was USD 3,318 (PGK 9,343), double the estimated price in the PSM plan. It was also found by the Inspector General that Borneo’s price was considerably more than a local competitor who applied for the tender, offering a price of PGK 55,400 (US$ 19,673), compared to PGK 99,756 (US$ 35,425) quoted by Borneo Pacific. If there was an NDoH requirement that both the manufacturer and the product be qualified by PNG’s Medical Standards Board (MSB), [the tenderer] Multichem should still have won the tender based on price with a quote of PGK 242,345 (USD 79,913) versus Borneo Pacific’s quote of PGK 384,000 (USD 126,624), a difference of PGK 141,655 (USD 46,710). This damning judgement levelled against Borneo by the Inspector General, to this day, has not received significant national attention, despite seemingly confirming the concerns that had been raised the year before in multiple investigations. However, as Borneo Pacific goes from strength to strength, profiting at large from the national health system, it is time that national decision makers confront the report’s findings. The story does not end in 2014. Borneo Pacific is yet again the subject of controversy, after the company was contracted this year, at a premium price, to supply medical kits to health centres and aid posts. Media reports indicate that Borneo Pacific has been given a one year contract worth, K57,738,982.91, to provide medical supplies to health centres and aid posts throughout the country. The alleged value of the contract is substantially higher than the three-year, K71 million contract awarded to Borneo in 2013. Oro Governor, Gary Juffa, has questioned the award, describing it as ‘controversial and suspicious’. It ought to be kept in mind that in addition to being a member of the Public Accounts Committee, Juffa was deputy Chair of the parliamentary committee which recently conducted a review of health sector management, which uncovered worrying evidence on Borneo Pacific’s merchandise. Media: Governor Juffa, a long-time champion of health reform and good governance. Governor Juffa claims the new contract was signed by the government against the advice of the Solicitor General’s office. Echoing concerns raised by The Global Fund’s Inspector General, the Solicitor General is said to have rejected the draft contract because it was awarded via an unjustifiable certificate of inexpediency, and did not meet procurement procedures set out under part seven of the Public Finance Management Act and part 13 of the Financial Instructions. This new contract awarded to Borneo Pacific also comes despite an allegation aired in March that a two-year review by the Health Department into the three-year contract granted to Borneo Pacific in 2013, ‘showed that the quality of service had dropped’. This is an especially concerning inditement given that the goods supplied by Borneo Pacific back in 2013 were already viewed as poor. The allegations made against Borneo Pacific, presented thus far, come from a range of credible authorities, including the PNG Medical Association, The Global Fund’s Inspector General, the Australian Department of Foreign Affairs and Trade, the PNG Solicitor General’s Office, the National Doctor’s Association, Professor Glen Mola, Governor Juffa, and Sir Mekere Morauta, to name key authorities. The general pattern common to these allegations, is that Borneo Pacific benefits from rigged or flawed tender processes, which come at a significant cost to donors and the public. In all examples cited above, Borneo Pacific was the successful tenderer, despite quoting a price far in excess of other qualified bidders, and in one notable example lacking a prerequisite quality-assurance requirement, until this requirement was waived mid-tender. Furthermore, the goods being provided through these flawed tenders, it is claimed, have been found wanting. All of which, it has been argued, is seeing Borneo Pacific make engorged profits at the public’s financial and physical expense. Because Borneo Pacific does not publicly release detailed accounts – indeed IPA records indicate it has not submitted an Annual Return since 2011, in violation of the Companies Act 1997 – it is impossible to verify whether it is making significant profits from these deals. However, if we assumed hypothetically that Borneo Pacific is providing goods to the Department of Health, with an average degree of efficiency, we can approximate – but not confirm – the type of profits that are potentially accruing to the company. For instance, if a competitive medical supplies procurement contract has an inbuilt rate of profit of approx. 10-20%, and if we assume Borneo Pacific is an efficient outfit employing competitive commercial techniques, it would appear that the awards made to Borneo Pacific are potentially up to 75%-100%, or 4-5 times the competitive market rate. Assuming of course, the above evidence presented by various medical and auditing authorities is indeed accurate. Take the controversial 2013 award. Borneo Pacific won the tender with a quote of K71 million, compared to City Pharmacy Limited’s K48 million. If we assume City Pharmacy Limited had an approximate profit rate of 15%, this would indicate the cost of providing the goods was about K40.8 million. It is not clear whether Borneo Pacific’s operations are as efficient as City Pharmacy Limited. However, given that Borneo Pacific was principally using a Chinese manufacturer providing substandard merchandise, it would seem reasonable to suggest this choice was made to reduce the costs associated with acquiring the requisite medical materials. In light of the fact Borneo Pacific won the tender at a price of K71 million, this suggests a possible profit of K30 million, or a profit rate of 74%. Similarly, if we look at the Department of Health’s selective tender for Rapid Diagnostic Test Kits detailed in The Global Fund Inspector General’s report, we know Borneo Pacific supplied 500 kits at a price of K470 per kit, or K235,000 for the entire shipment, in contrast to Boucher Muir which tended to supply kits at K216.38 per unit, or K108,190 in total. If we again assume a market regulated profit rate of 15%, we can approximate that the cost price of supplying these kits was around K91,961. If broadly accurate this suggests a profit of around K142,000 for Borneo Pacific (equivalent to over 150%) – unless, that is, the company was so inefficient its operational costs were significantly higher than that of Boucher Muir. Professor Mola and the PNG Medical Association have contended that these significant rates of profit likely earned by Borneo Pacific – although it is impossible to confirm they do realise engorged profits owing to lack of public data – are in part used to purchase ‘gifts’ for public officials, involved in the health procurement system. Borneo Pacific has not directly denied these allegations, though their principal has strongly maintained his company is above board. Given these would be highly secretive and opaque transactions, unfortunately without a criminal investigation or a leaked smoking gun, it is impossible to confirm allegations that part of these profits are being reserved as a slush fund to pay kick-backs to public officials. But it can be said with a higher degree of certainty, owing to evidence on the public record, that Borneo Pacific has in the past provided uncompetitive, substandard services, secured through flawed public procurement processes. There are also cases pointed to above which suggest some of these goods procured from Borneo Pacific are not even needed by rural health centres. All of which turns the economics of public health on its head. A super-consumer is created, the state, who can purchase on mass, medicines, surgical equipment, and infrastructure. As a super-consumer the state has the bargaining power to negotiate competitive contracts with private sector suppliers – in a way a lone individual with a modest income could not – getting citizens better value for money. When health is administered at a national level, there is an economy of scales which allows medical services to be provided on a more efficient and cost-effective basis, than if the same medical services were supplied on an atomized, private basis. Hence we see superior health outcomes in countries which have adopted publicly funded health provision models, free from corruption. Through progressive forms of taxation, economies of scale, and a public service ethos, public health systems ensure equality of access to medical treatment, regardless of income, which leads to a healthier, longer living population, which has a range of personal and public benefits. Following on from this, if we can for the moment hypothetically accept two presuppositions. First, that the main allegations levelled against Borneo are approximately accurate. And second, that the alleged conduct of Borneo Pacific is not unusual or a one off, but is in fact part of a systematic pattern in the health sector. Certainly public inquiries conducted into the Department of Health, suggest the problems pointed to here, are systemic in nature. If these two presuppositions hold, we have revenues being acquired through taxation and other measures, being abused rather than used by the state, acting as a super-consumer. In other words, rather than using its immense bargaining power to secure the best quality medical supplies at the lowest cost, public procurement is being used to hand over these finite revenues needlessly to tenderers who are charging excessive prices for their services. And as a result, the beneficiaries are not citizens who obtain a cost-effective and efficient health service, rather the beneficiaries are private suppliers, who can earn profit rates in the realm of 100%, providing substandard, and sometimes irrelevant services. Furthermore, there is also evidence to suggest that those providing the relevant services are not overly interested in the quality of the goods being supplied, but instead are primary motivated by the significant rates of profits that can be accrued from flawed tender processes. As a result, we have studies and testimony which indicate substandard or improper medical supplies are being delivered to health centres and aid posts. The public health system fails to erode health inequalities. Instead, those without high incomes must endure poorly equipped and under resourced public health facilities (which is not to overlook the dedication of long-suffering staff). While those with high incomes can make use of private facilities in PNG, or travel abroad to Singapore and Cairns in order to access medical care. Following on from the latter point, significant inroads cannot be made by the public health system into illness, disease, and primary health care, in ways that would make a significant impact on the quality and quantity of life enjoyed by citizens, which comes at a cost to family life and the national economy. Clearly, while public integrity cannot be resurrected overnight, if ever there was a sector on which our laser sites should be pointed, it is public health. The state of public health matters to us all. [Our findings] indicate that the prevalence of counterfeit/substandard drug products in this study area outweighs products with acceptable quality. This is especially alarming in view of the importance of communicable diseases as a cause of morbidity and mortality in PNG. Malaria and pneumonia, the two leading causes of illness and death in PNG, are specifically addressed in the Child Health Policy Plan and the new National Health Plan. However, at the moment, inadequate legislation and enforcement, absence of licensing and registration of imported drugs, illiteracy, and lack of public awareness make PNG a haven for counterfeiters and manufacturers of substandard drug products. Weak governance, mismanagement and illicit conduct, in short, is killing the nation. On average we live to just 62.9. To put that in perspective, this is not even retirement age in many countries around the world. In Part II of Profiting from Sickness, PNGi will look into a number of senior physicians that have partnered with Borneo Pacific Pharmaceuticals and its principal, Sir Sang Chung Poh; some of who have been investigated for abuse of position in the health system, with extremely worrying results.